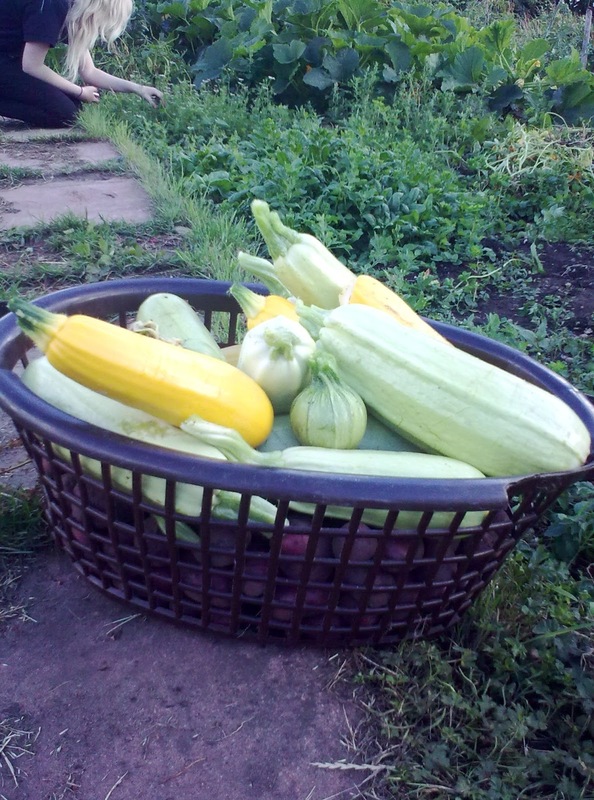 All three of these are now growing in abundance in our allotment, so they were the obvious choice for Ingredient of the Month since they are such healthy and versatile vegetables. 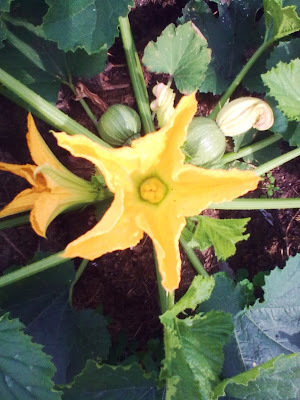 They fall into the category of plants called curcubitae, which also includes pumpkins. All plants of this family originated in the Americas, but are now to be found all over the world. They are easy to grow indoors or outdoors and will provide loads of edible fruit and flowers in the Summer months. Courgettes (zucchini) were developed in Italy from American squashes. They are usually dark green in colour but there are yellow varieties and paler, round varieties which have a beautiful, delicate flavour. Marrows are a typically English plant to grow and are a real Summer treat, providing much larger, firmer-fleshed striped fruit which is delicious baked or stuffed, or even made into jams and chutneys. Kadoo is often used as a generic word for all squashes and pumpkins in Indian cookery, but here we refer to the cylindrical pale coloured Summer squash as kadoo. Round courgette, flowers and young fruit. the male flowers can be picked and eaten, too- delicious! 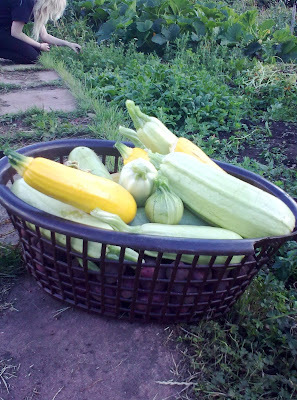 Nutrition: I managed to find some data online for courgettes, and also for Summer squashes in general. Courgettes are low in calories and proetin, but a source of beta carotene, vitamin A, potassium and folate. Half a cup of courgettes contains 19% of the rda* of manganese, too. It is the skin which provides the beta carotene, plus fibre, so leave it on when you cook them, and make sure you eat it! Summer squashes in general contain per 100g: vitamin a, lutein, zeaxanthin, thiamine (vitamin B1), riboflavin (vitamin B2), niacin (vitamin B3), pantothenic acid (vitamin B5), vitamin B6, folate, vitamin K, vitamin C, iron, magnesium, manganese, phosphorous, potassium and zinc. Come join our Super Squashes Event, running throughout August 2013! Use the linky tool below to add your recipe (which must feature some sort of Summer squash, courgette, kadoo etc.) and post us a comment when you have done so. Archived entries will be accepted, but please amend to mention this event and link to it. You can use the above picture and caption if you wish. We have started the ball rolling with a few links of our own. Looking forward to seeing your recipes! Just linked my courgette and chocolate waffles recipe. So nice to have found your blog.